To ensure your order arrives safely, our carpentry builds a solid box of plywood in which the order is sent. This reduces the risk of transportation damages and the order will be well protected throughout the entire journey. Remember, we will deliver your order to the curb. 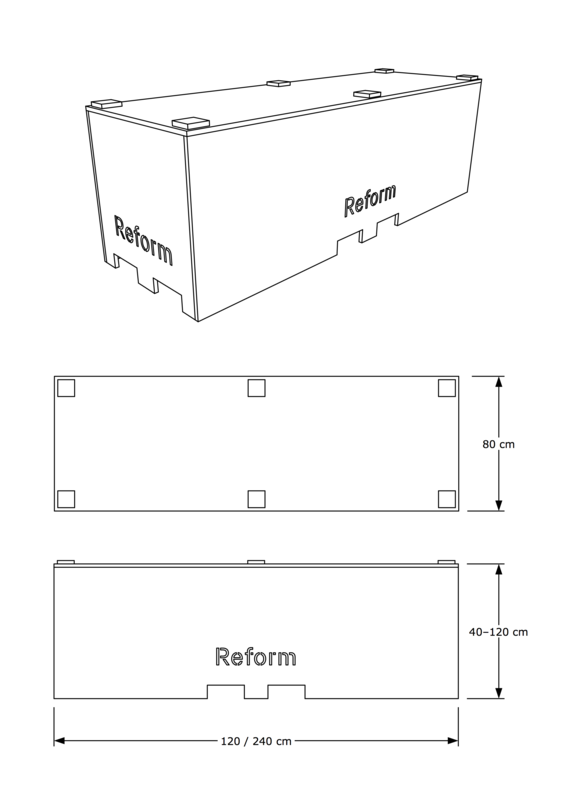 The lid on the transportation box is attached with cross-recessed (star) screws. A star screwdriver (Torx T20) is included and attached to one of the corners on the top of the box. The box can be separated using the same tool, hopefully making it easier for you to discard.